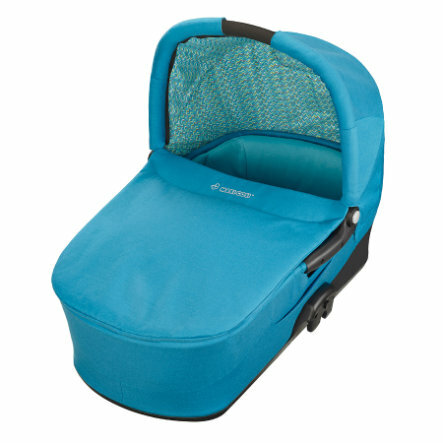 The carrycot fits perfectly on your Mura pushchair. It has a comfortably padded mattress and a soft, washable inner cover. It also features a fleece blanket, a rain cover and mosquito net. • The carrycot is extra spacious and includes a quality mattress, which means your baby can lie in comfort longer, up until around 6 months.